Tours will operate on these days at 10am and 2pm. Caravans and Campers are welcome seven days a week. 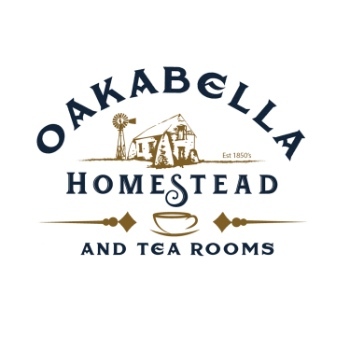 Oakabella Homestead is a comfortable stop-over on your journey along the stunning Coral Coast of Western Australia. We are centrally located with easy day trips to Kalbarri, Northampton and the stunning Pink Lake to the North, Chapman Valley to the East and Geraldton to the South. This picture book slice of history features a colour tapestry of rolling hills, seasonal wild flowers and rust red gorges. The 13 room Homestead, Buttress Barn and the Original Kitchen have been maintained to Australian Heritage standards without compromising its authenticity. Come on a tour and explore the main house, outbuildings, farm and shearing sheds while hearing tales of ghost sightings, decades of drama, life, death and mysteries that have left their mark on the property. The Oakabella Country Kitchen offers an array of delicious meals, delectable Devonshire teas and a variety of liquid refreshments. Come and taste our famous Scones! The Oakabella Country Kitchen is a fully licensed premises and offers a selection of beer and wine for your enjoyment. The Oakabella Country Kitchen is your answer when you need a coffee-to-go or a memorable meal for a special occasion.